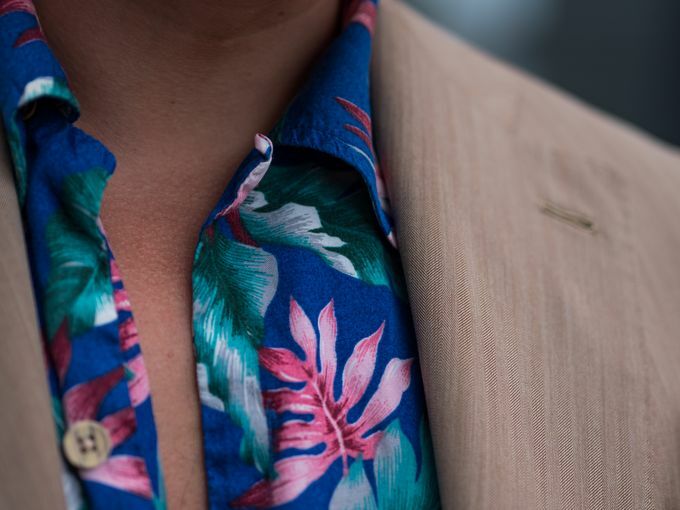 Today's post has already featured on Instagram and many of you are probably starting to be fed up with my aloha addiction, but what can you do. 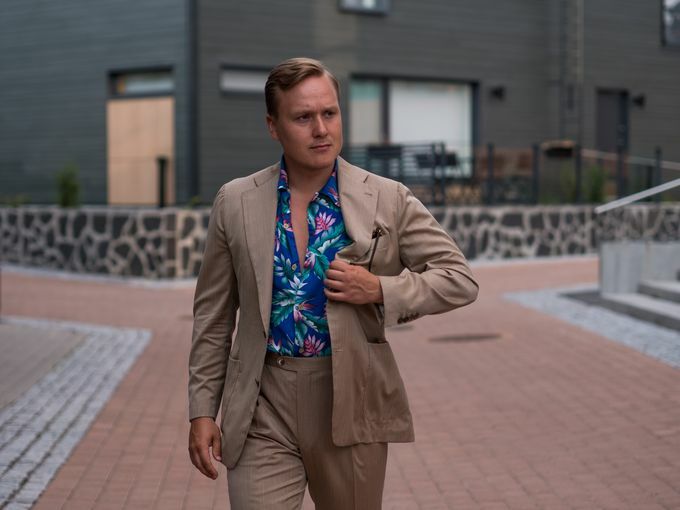 One of my favorite ways to utilize older casual shirts with that 80s or early 90s feel especially, is to combine them with some of my summer suits. My Solaro suit especially makes a great friend to an vintage shirt of almost any color, creating that cool look with a touch of Miami Vice. 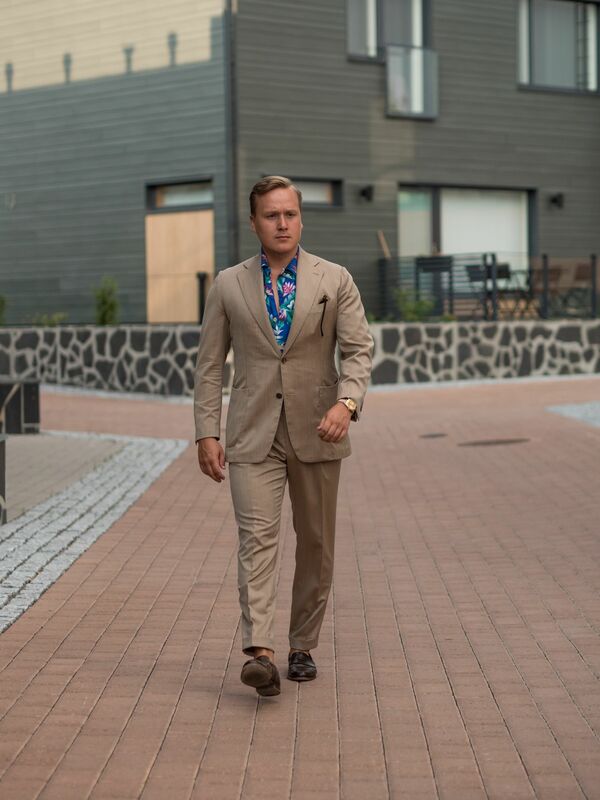 When wearing a combo like this, I would pretty much always leave my pocket square at home and just enjoy the casual vibe as is. 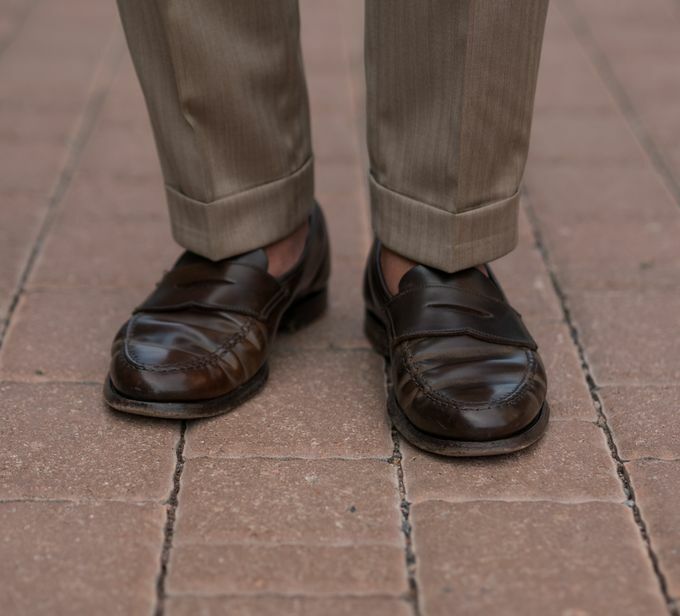 Loafers without socks works well, but I would go for a very classic loafer model and avoid anything sleek. 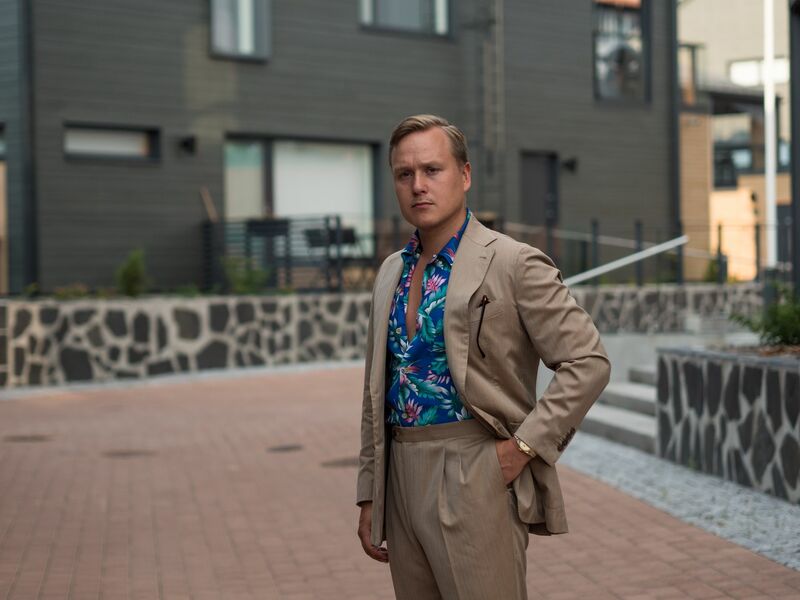 The looks includes a Vaatturiliike Sauma handmade made-to-measure suit, no pocket square, a vintage made in USA aloha shirt, my 16233 Datejust and Crocket & Jones Harvard Cordovan loafers. Especially from close up, the textures and colors really compliment each other. 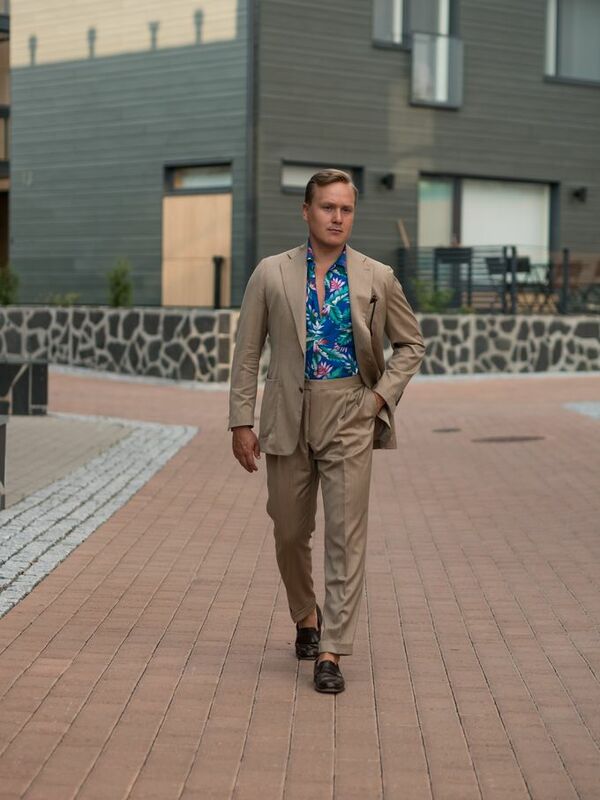 And while it's definitely not a very regular look, I personally find it very fit for the warmer weather. And there we are, short but inspiring I hope. This post was also probably the last one shot with my old set of lenses, so the picture quality will take a small step forward in the next posts.